At Standish Street Surgery, we understand it is getting increasingly difficult for members of our community to secure an appointment with our doctors, due to increased patient demand. 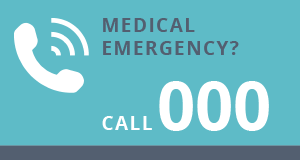 We have looked at our appointment booking process, and starting from August 2018 onwards, we will be assigning 2 doctors to be “on call” to receive any emergency, on the day bookings at the surgery. We hope this new system will enable us to better meet the increased demand we are experiencing. We would also like to encourage our patients to “book ahead”, in anticipation of scripts running out, or for a routine review to keep you healthy so as to reduce the need for emergency appointments. However, if you are unable to make your appointment, please call ahead to cancel your appointment, so that another member of the community who needs the appointment more than you is able to take your place. In addition to all this, we have the lovely Dr Shannon Elliott returning back to us after maternity leave in mid-July 2018!